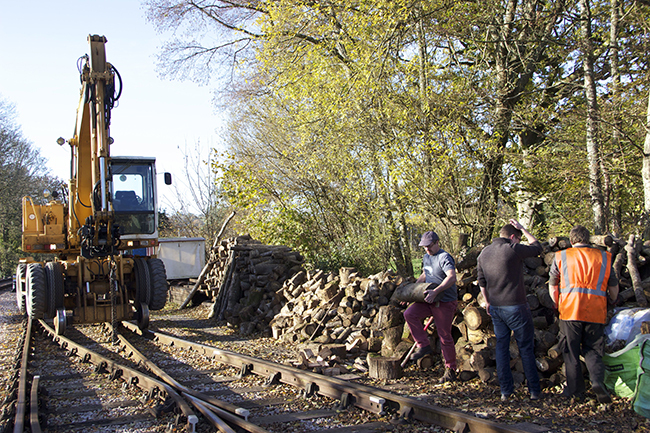 The Permanent Way department operated a log sale in Staverton yard today, utilising the output from the Wednesday gang’s regular cutting back exploits. 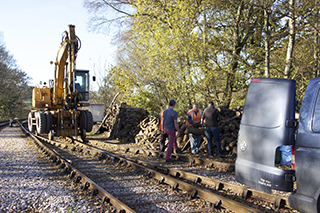 There was no need to book, and there were lengths of wood, together with logs both split and unsplit available. For those with larger requirements the road-railer was on hand to load dumpy bags of logs onto trailers. 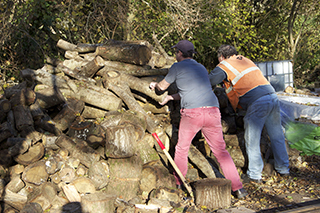 Matt Tarrant and Mike Webb supervised, loaded logs and extracted cash from their satisfied customers.